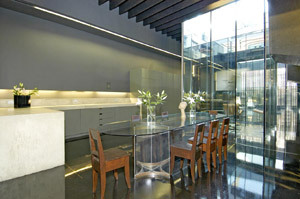 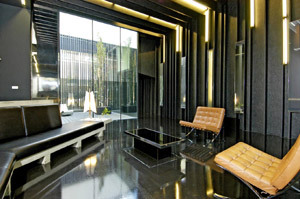 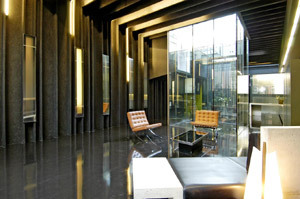 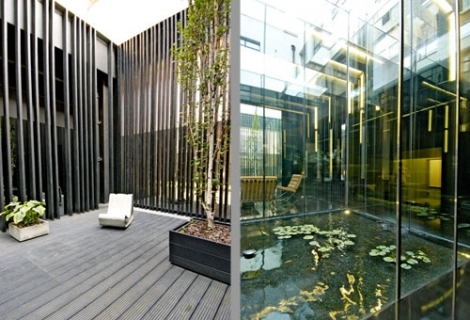 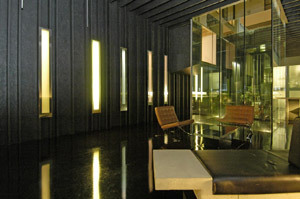 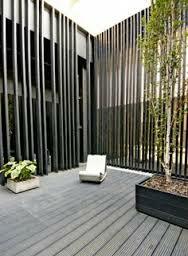 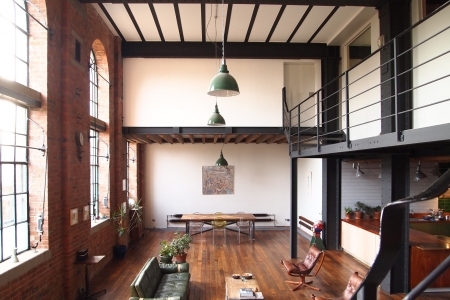 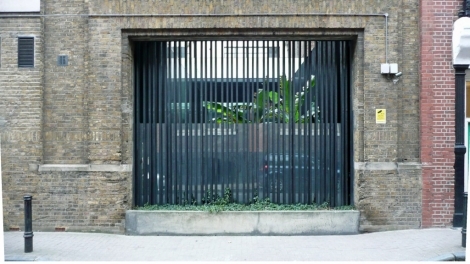 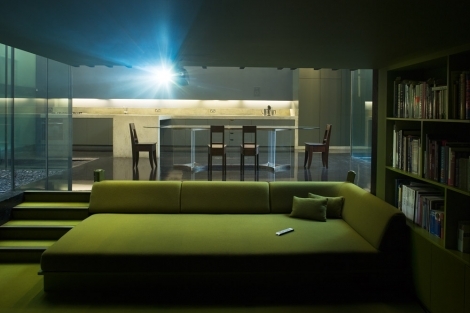 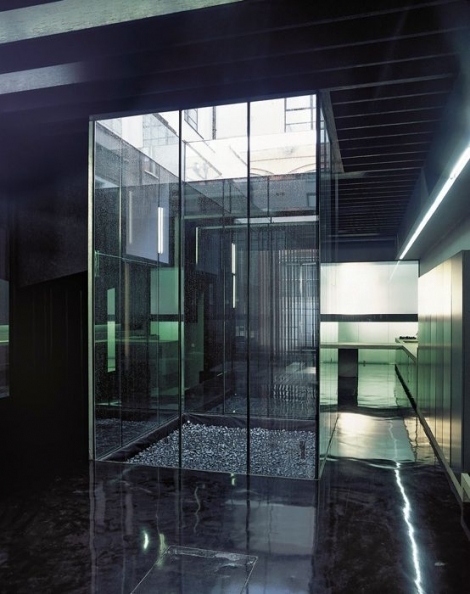 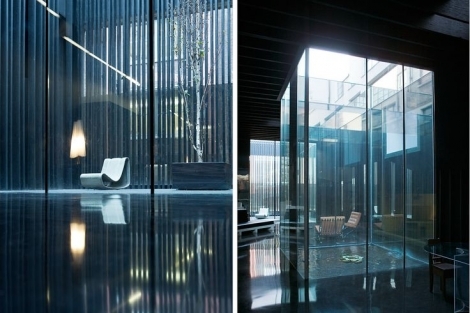 Designed by David Adjaye, this central London residence secretly tucked away opposite Kings Cross station is a vision of black, green and glass, boasting 5000 square feet of space and 20 foor high ceilings. 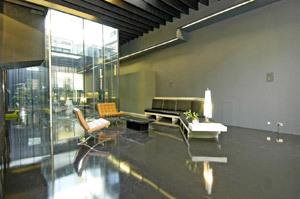 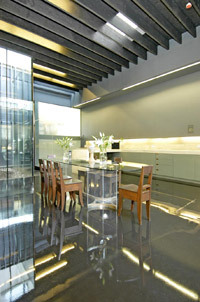 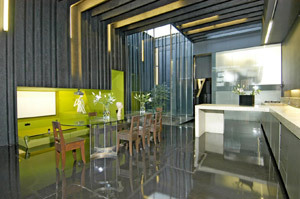 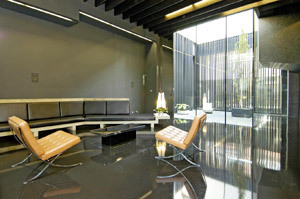 Notable in this location is the contrasting textures of poured resin floors, the concrete kitchen, mirrored glass and vertical shafts of black plywood. 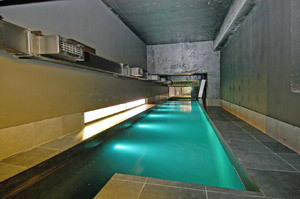 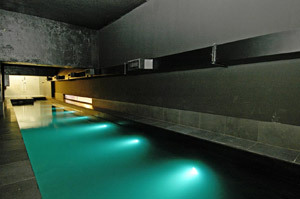 Possibly the most unique features are the lime green sunken cinema and the three glass cubes open to the sky enclosing two gardesn and a fishpond. 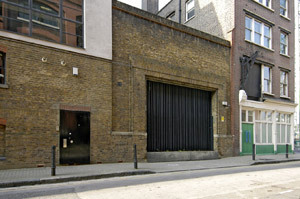 There is also an internal garage ideal for storage during shoots. 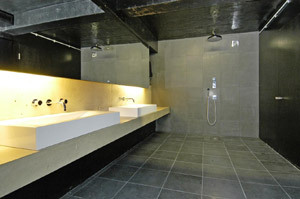 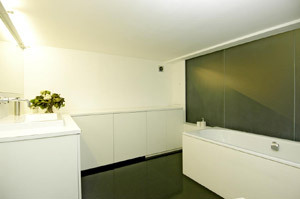 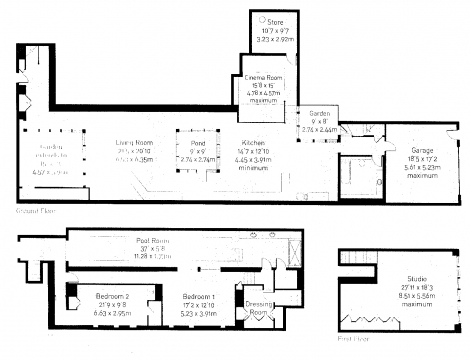 A swimming pool off the master bedroom is available by special arrangement for an additional fee.